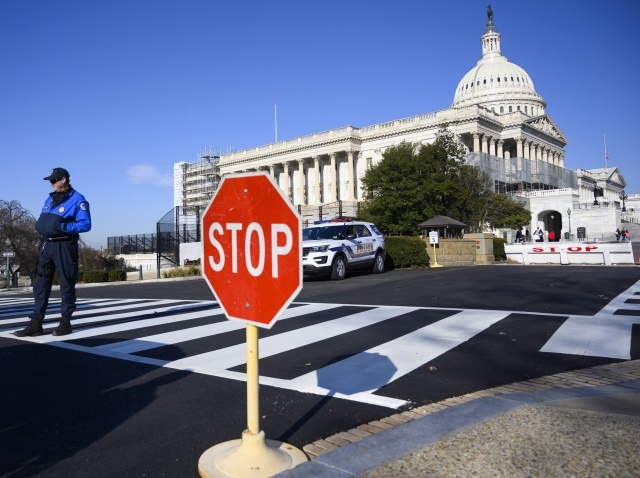 (AFP) - The US government partial shutdown was set to stretch deep into next week after legislators failed Thursday to make a breakthrough in the row over President Donald Trump's demand for a US-Mexico border wall. Both sides have dug in, with Democrats refusing to provide $5 billion for Trump's border wall project and the president insisting he will not fully fund the government unless he gets the money. She said Trump "will not sign a proposal that does not first prioritize our country's safety and security." In a tweet Thursday, he once more accused Democrats of wanting to encourage illegal immigrants, "an Open Southern Border and the large scale crime that comes with such stupidity!" "He's taken our government hostage over his outrageous demand for a $5 billion border wall that would be both wasteful and ineffective." But the rancor has spiraled under Trump's abrasive administration and is set to go even higher after January 3 when the Democrats take over the House of Representatives, following their midterm election victory. Continuing the see-saw performance, Wall Street opened sharply lower Thursday but ended solidly higher on bargain hunting. Large sections of the nearly 2,000-mile (3,200 kilometer) border with Mexico are already divided by fences and other barriers. But immigrants -- some fleeing danger and others just looking for jobs -- continue to cross illegally. US Customs and Border Protection Commissioner Kevin McAleenan warned Wednesday that the agency was unable to cope with the thousands of arrivals, as most facilities were built decades ago for men arriving alone.